I’m Katy M. Clark and I write about many topics, usually with a humorous touch. Topics include mothering, parenting, raising kids, activities with kids, being a mom who works outside the home, and cool ideas or products for kids and families. 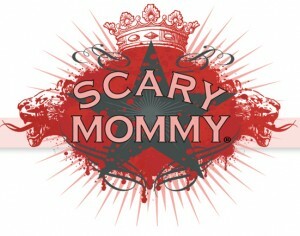 My writing has appeared on many fantastic sites, such as Scary Mommy, Mamalode, Sammiches & Psych Meds, and Parent.Co. On Scary Mommy, I authored If The Breakfast Club Were Parents Today and shared my most annoying pregnancy side effect. I wrote about feminism and my fourth grade daughter on Mamalode and Parent.Co. 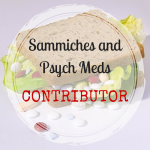 On Sammiches & Psych Meds, I talked about what it’s like to raise a son who doesn’t like to read and the 8,257 things I did to try and change that. Need a laugh? Check out my post on Caillou that was shared thousands of times on Mock Mom. I’ve got a relatable and funny post, 10 Lazy Ways to Be a Better Parent, on Parent.co. And, over at In The Powder Room, I told what happened when my daughter didn’t quite measure up to my expectations. The more serious side of my writing has been featured on For Every Mom when I shared my perspective on the Disney tragedy at the Grand Floridian. I’ve also been featured on Club Mid in an essay about 9/11 and on Good Mother Project in an essay about being a working mom. I have appeared on BlogHer numerous times. My most popular Featured Member Posts include 10 Things to Say to the Trick-or-Treaters Dressed as Elsa and 10 Signs You’ve watched ‘Frozen’ Too Many Times. Other BlogHer posts include 5 Great Picks for Family Movie Night, Being a Mom Totally Boosts Your Self-Esteem and 5 Great Moms from Christmas Movies. I’ve got yet more pieces on Club Mid, For Every Mom, and Ten to Twenty Parenting! I’m always happy to interact on Facebook, Pinterest and Instagram as well. My freelance writing, including my birth story and family-friendly restaurant reviews, has been featured in national and regional parenting magazines. Please contact me at experiencedbadmom@gmail.com for links and clips. I’m a PR-friendly writer and I welcome the opportunity to work with you. Note: Guest posts are closed indefinitely.